Our body is so addictive to water, we need it in the air as well, in the form of moisture. If you’ve ever lived in a dry climate, then you’ve experienced at least some of the symptoms – cracked lips that are constantly yearning for that glass of water, dry sinuses, throat that feels like sandpaper, nose bleeding, and an obnoxiously clingy cough that won’t go away. As luck would have it, the solution is at hand with the humidifier. 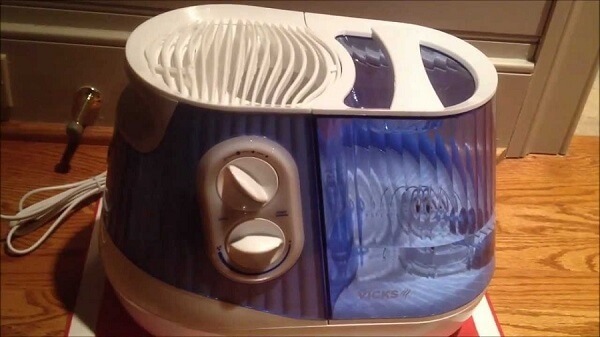 Unfortunately, we tend to disregard that owner’s manual that comes with the tech package and, in no unclear terms states, why and how to clean a humidifier. 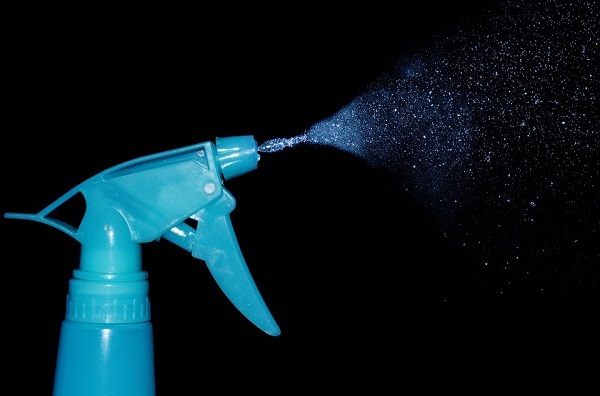 However, seeing how many of us tend to leave the good advice to the cobwebs and wave a hand in disregard to details such as ‘cleaning your humidifier’, chances are we’ll soon have to fight health issues that are sourced in the damp, moldy environment. After all, it makes sense. Humidifiers use tap water, so they’re prone to bacteria and minerals depositing over time. When released into the air in the form of vapors, you breathe them in. 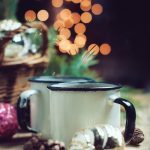 To give you a comparison taste, imagine you’re brewing your morning coffee and, at some point while sipping the hot beverage, you remember the water in the coffee machine was several months old. Pretty gross, right? 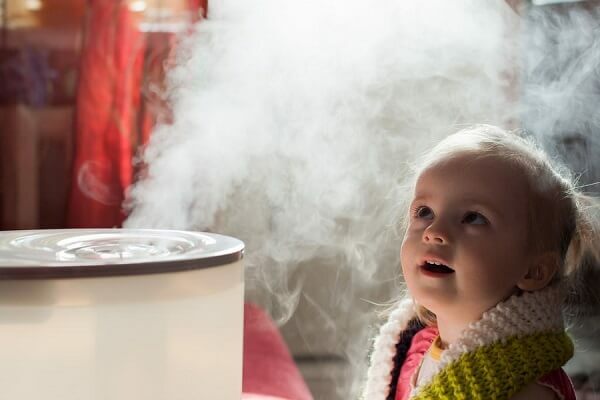 Before we hand you the valuable tips on how to clean a humidifier and properly degunk it, we’ll have to clear the air of all the misconceptions. For example, how many scrubbing sessions do these devices need? And what are the best tools to reach those murky nooks and crannies? 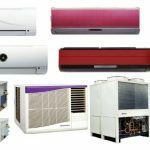 You may be using the right products – we’ll obligingly list them all down the page – but, depending on the design of your humidifier, you may want to invest more attention in what tools you’re planning to use. It’s usually the corners and tight fits where mold tends to congregate. Use a bottle brush to dislodge any pest buildup. Q-Tips are like fluffy tiny scavengers. They can penetrate any dark and moldy corners. Rags, sponges, old toothbrushes, or dishcloths. Also, if you’re using bleach as an ingredient, protect your skin by wearing the classic yellow cleaning gloves. How to Clean a Humidifier in Time? Thoroughly cleaning your humidifier too often might turn out to be a drag. 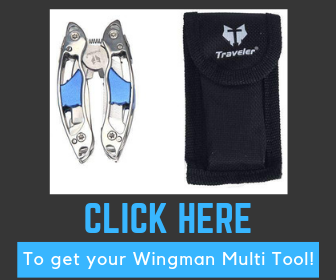 Manufacturers come with different recommendations. It really depends on the season. Seeing that the device is running to full blast during winter, you will want to invest more effort into maintenance than usual. Once the season is over and before storage, give it one final swish and shake. Also, keep in mind that if you’re prone to allergies to mold and dust mites, you shouldn’t heavy-use the humidifier, as an increased humidity levels indoors nourish the two things. Usually, manufacturers recommend that you clean your device with either our old pal white vinegar or bleach. Alternatively, you can also choose a few drops of tea tree oil in case the vinegar smell is overpowering. Also, dish wash works for a quick refreshing. As the champion household cleaner, hydrogen peroxide is also an option on how to clean a humidifier. Its antifungal, antibacterial, anti-mildew, and anti-mold properties can really sanitize anything in your home. Just splash 3% hydrogen peroxide in your humidifier’s tank and filter and let it soak for more than 30 minutes. As opposed to the bleach and vinegar, this substance takes a while to harness its cleaning power. It might seem a bit pointless to mention this in the first place but, for extra security measures, we will anyhow. First step on how to clean a humidifier- turn off the humidifier and unplug it from the electrical outlet. Now would be the time to dust off that owner’s manual and do a bit of light reading. It will instruct you on how to take the humidifier apart. As a rule, you usually start with the tank after you’ve poured all the water out. Then follows the filter, and if the model is such, the motor. Most humidifiers feature a catch which, in case you’ve lost your guiding manual, will be your clue to how many more detachable pieces are left. Wash the filter and place it on a towel for any excess water drip off. The following step may require a small input of muscle power, because your humidifier’s tank really needs a good sweep. Here you have a number of options. Combine one cup of that glorified vinegar with one cup of tepid water. Pour the mix into an empty spray bottle, and aim and shoot at all those moldy corners of your tank. Allow one minute for the vinegar to dissolve the mineral deposits inside, then scrub away using a toothbrush or a sponge. Rinse off and then let the tank dry and shine with cleanliness. Fill the tank with water. Pour a generous teaspoon of bleach inside and let it sit for 20 minutes. Every two or three minutes, swish the mix around the container to ensure it thoroughly penetrates all those hidden corners. Follow up by giving it a thorough rinsing. Place it on a cloth to dry. If you’re apprehensive about both the vinegar and the bleach, use 3% hydrogen peroxide Pour a few cups into the water tank, swish it around to coat it evenly and let it sit for approximately an hour. Then rinse thoroughly. 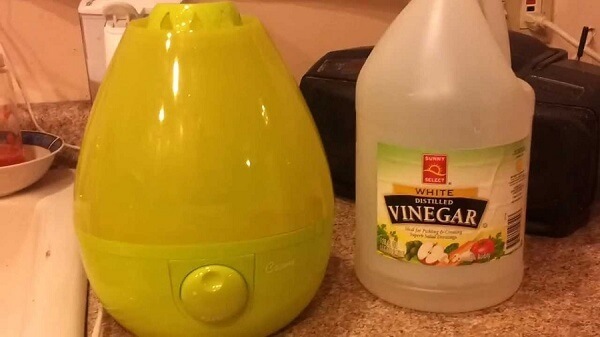 TIP: Your home might stink of vinegar once you’re reusing the humidifier. Using a few drops of tea tree oil while in the cleaning process might cut some of the edge off that powerful smell. TIP: Don’t run an errand while cleaning your humidifier with bleach, or you might end up with a broken machine. Let it sit for less than an hour. In short, this step involves repeating the previous one, only, this time, you’ll be disinfecting any remaining detachable part of your humidifier. As we mentioned before, you can use vinegar, tea tree oil, bleach, or dish soap. The choice is yours. Fill the base and filter with the solutions and let sit from 20 to 40 minutes. This timing can be pretty flexible, as long as you’re allowing the disinfecting substances enough time to clear the gunk. Once again, arm yourself with a sponge, washcloth, rag, or anything with scrubbing power – cats may be furry, bristle and flexible, but they won’t do this time – and remove any remaining mineral residue. TIP: For those bits of filth stubbornly lurking around in the crevices, use the Q-Tips or the bottle brush we’ve recommended. TIP 2: If most of the dirt doesn’t slide right off after soaking, then you’ll need to prepare another vinegar or bleach bath for your humidifier. Clearly, you’re dealing with the kind of survivor mold that’s seen it all and still lived to tell the tale and damp the air. To be doing its job of tear and wear, the vinegar should be noisily fizzing. Now all the parts are spick and span. Before proceeding to reassembly, make sure each piece is fully dried and that the vinegar smell dissipated. Preventing further bacterial growth doesn’t mean you will never have to go through the previous cleaning and disinfecting steps again! How to clean a humidifier? Repeatedly and thoroughly. You will, only that with proper maintenance and a good deal of care, the humidifier won’t be overloaded with mineral deposits and mold, and your arms won’t hurt from all that super-power scrubbing. Change the tap water often so that mineral deposits won’t have the time to coat your tank and filter. Clean the humidifier on a regular basis. Granted, you can’t invest all your time into obsessively taking care of your moist air supply. But no one is asking you to. However, a swift vinegar rinsing every three or four days won’t take more than 5 minutes of your schedule. The cumbersome disassembling and scrubbing process should happen every two weeks. If you’re the type to become attached to your trusted possessions, maybe an old, rusty humidifier is not the healthiest object to serve your nostalgic inclinations. Old devices break over time, but a worn out humidifier is fertile ground for bacteria, mold, and a charged air. Ideally, indoor humidity levels for health and comfort as measured by the home hygrometer range between 40 and 50 percent. In winter times, when the heaters are working full blast, the moisture in the air can drop to just 15 percent. Compare it to the aridest desert in the world where the typical humidity is 10 percent higher, and you’ll understand the value of a humidifier. 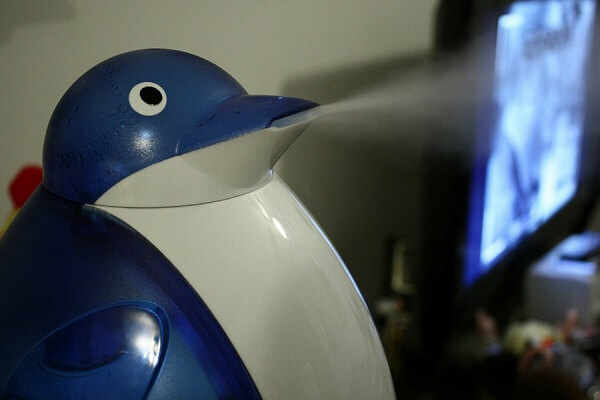 However, unless you follow our recommendations on how to clean a humidifier, breathing in air might turn detrimental to your health in the long term.